Perth Wildcats championship player Greg Hire has signed with the Joondalup Wolves for the remainder of the State Basketball League season as he looks to sharpen his touch ahead of the 2016-17 NBL campaign. Hire’s court time was limited for the Wildcats in 2015-16 and the SBL opportunity offers him the chance to accrue some significant minutes of competitive basketball. And while he left the state competition as a dominant power forward and championship player in 2011, he’ll be returning to the league in the outside role he’s forged for himself in the professional ranks. “It’ll be a similar role to the Wildcats and that’s a massive reason why I’m returning,” he said. Under SBL regulations, Hire is considered a restricted player, which means the Wolves will have to rotate him through the line-up with US imports and fellow restricted players Kevin Davis and Bobby Evans. The league does not allow three restricted players in the same line-up. But Hire will no longer be considered a restricted player once he reaches 150 club games later in the season. This will allow all three basketballers to suit up at once – an ominous prospect for opposition sides. 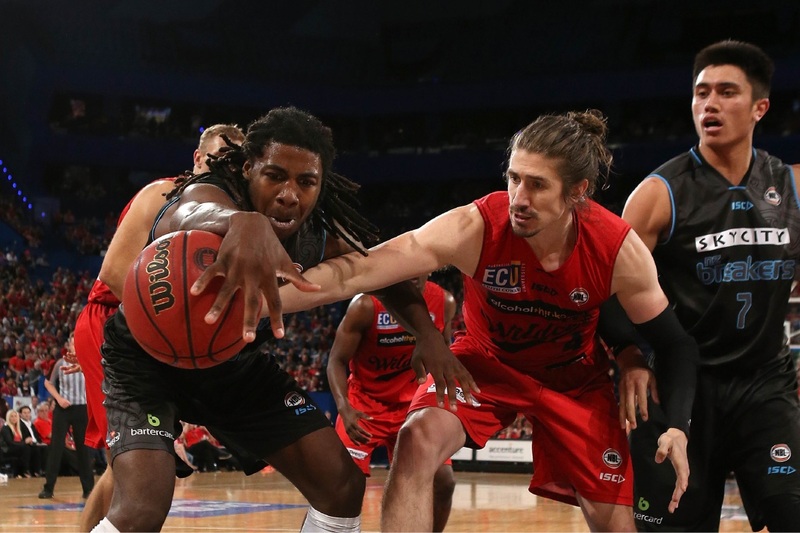 Hire last played for the Wolves in the 2012 NBL off-season, but a finger injury cut the stint short. Always thankful for the club that helped launch his professional career, the 28-year-old was excited to return, particularly under successful mentor Ben Ettridge, who coached Hire in the 2011 championship. He praised Ettridge’s “philosophies and values”. “It’s a fantastic club… so it’s good to slot back in there and good to play with those guys I’ve grown up with,” he said. The Wildcats are in the midst of renewing player contracts, with Hire saying discussions were ongoing in what was a “lengthy process”. His three-year contract expired at the end of the season.